Muffins are a great snack to have any time of the day, especially when it’s freshly made. We have hundreds of muffin recipes but there is nothing quite like weed muffins. Some people may get the impression that eating weed muffins is just looking for alternative ways to get ‘high’. That’s not actually true. Cannabis contains antioxidant compounds and other medicinal properties. So, eating weed muffins is not only a good thing, but also a very healthy choice. Everyone loves corn muffins. Eaten with a steaming bowl of soup, a couple of muffin cakes can keep you chilling all day long. It only gets better when infused with weed. 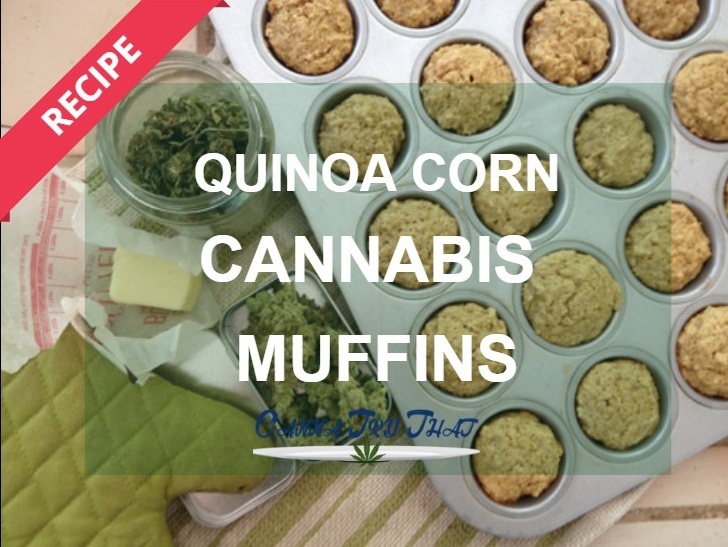 Quinoa corn cannabis muffins are delectable. But if you don’t have an idea of how to make them, follow this recipe and instructions. Preheat your oven to 375ºwhile you apply grease on your muffin tin. It is advisable to use small muffin tins to make it easier dosing your edibles. Put the quinoa in a saucepan and add a cup of water and cook until it boils. Cover the saucepan and reduce the heat so that it only simmers. Ruffle with a fork and remove from heat, and leave it covered till when you need it. Mix the two types of flour, baking soda, salt, and sugar, all together in a mixing bowl. In a separate bowl, mix the yoghurt, egg, melted cannabutter, and vanilla. Stir the liquid ingredients into the dry ingredients and add the cooked quinoa and corn. Make sure to scour the bottom and sides of the bowl and make sure all the flour gets mixed completely. With a spoon, put the batter into the muffin tin and bake for 25 minutes, if you are using standard sized tins. Only bake for 15 minutes if you are using mini muffin tin. Muffins will turn golden brown and it will be firm when it is ready. That’s it! Enjoy your Quinoa Corn Cannabis Muffin.